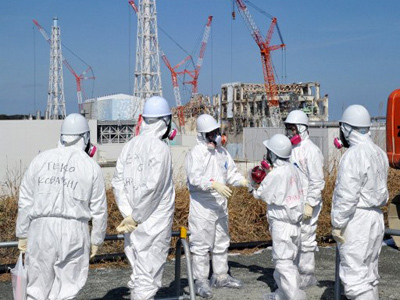 TEPCO’s new estimates suggest that its Fukushima reactor has released more than quadruple the amount of radioactive cesium-137 leaked during the Chernobyl disaster. But the method used to measure the damage may undervalue the hazard even further. 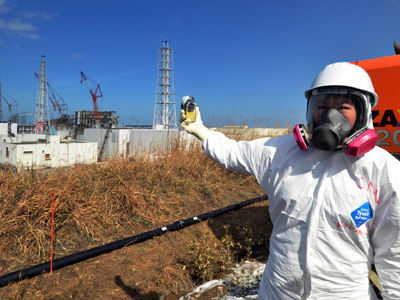 ­Tokyo Electric Power Co.'s revised report suggests that in total, around 760,000 terabecquerels (TBq) were discharged into the atmosphere since the Fukushima catastrophe. 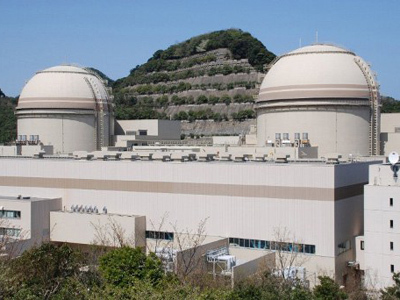 Though the new figure is 1.6 times higher than an estimate published in February by the Economy, Trade and Industry Ministry's Nuclear and Industrial Safety Agency, it still seems to be just an effort to downplay the real scale of the event. The report goes on to compare Fukushima with the Chernobyl accident of 1986, where it says 5,200,000 TBq of “radioactive substances” were leaked into the atmosphere. The problem is that TEPCO only counts the amount of iodine-131 and cesium-137 leaked from the Fukushima reactor, and compares them to the whole range of isotopes that were discharged at Chernobyl. And if compared properly, the numbers tell a different story. The final estimate suggests that 400,000 TBq of iodine-131 leaked from Fukushima, which is indeed lower than during the Chernobyl incident, but only 4.5 times lower. Regarding the emission of cesium-137, Fukushima is far ahead its rival. Post-Fukushima estimations suggest that Chernobyl put out a total of 85,000 TBq of caesium-137 over the course of the disaster. 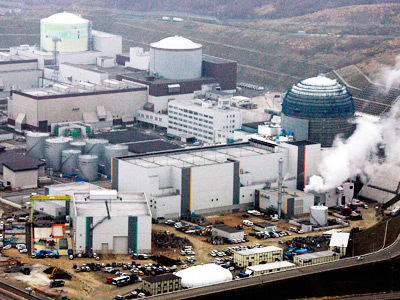 The Fukushima reactor, however, has so far released 360,000 TBq of cesium-137, according to TEPCO. Instead of releasing the total emissions of other isotopes from Fukushima, such as Strontium-90, TEPCO dedicated the rest of the report to explaining the calculation methods used. They combined the calculations based on the “degree of damage to the reactor core” and reverse calculations based on the “density of radioactive substances found in the atmosphere and seawater,” which allowed the company to come up with what they believe to be the most accurate figures. The blasts at the Fukushima reactor, which had been triggered by an earthquake and tsunami last year, caused a massive radiation leak. Tens of thousands of people were forced to leave their homes in and around the Fukushima region in central Japan, while the crippled reactor was shut down and encircled by a twenty-kilometer exclusion zone. 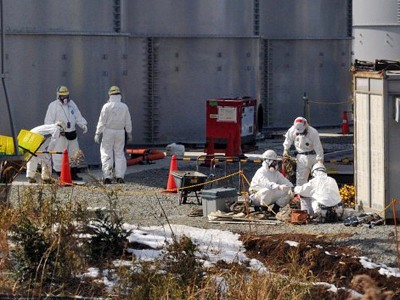 Since then the authorities and TEPCO officials have faced accusations of withholding vital information about the radiation levels in the area.